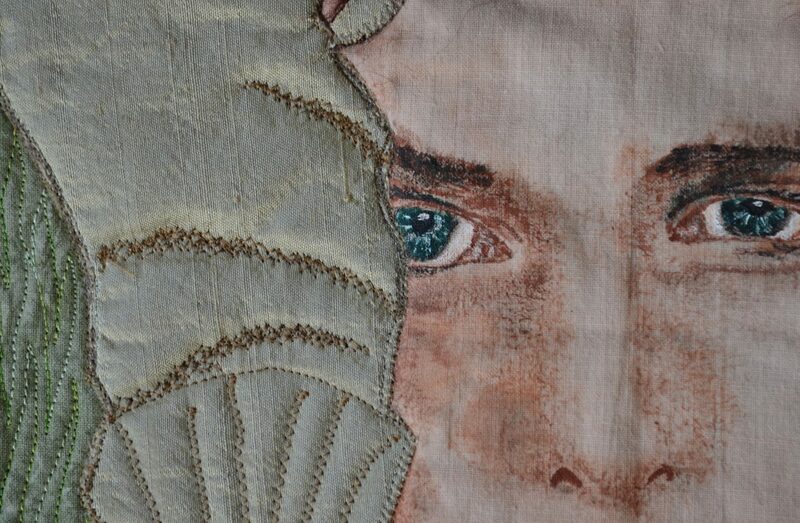 Jenny has been a quiltmaker and textile artist since 1975 and has exhibited and won awards at many local, regional and national quilt shows. Although she has taken workshops with many well-known fibre artists, she is primarily self-taught, with experience in all areas of patchwork, appliqué, trapunto, whole-cloth, embroidery, hand quilting, and machine quilting. Examples of work include full-size quilts, crib quilts, wall art, pillows, and quilted clothing. Many of these quilts are now in private collections. Like many quiltmakers, she began by making traditional hand pieced and hand quilted pieces. She now enjoys processes such as fabric dyeing, painting, stamping, embellishment, and machine quilting which make each piece unique. Her photographs are often an integral part of her quilt designs. Jenny is a Canadian/American who has lived most of her life in Kentucky, and currently lives in Swannanoa NC. For more about Jenny, please click here.